The idea of a mechanized walking suit to carry you around seems like a great idea, but having a practical leg assembly for it is still a futuristic concept. 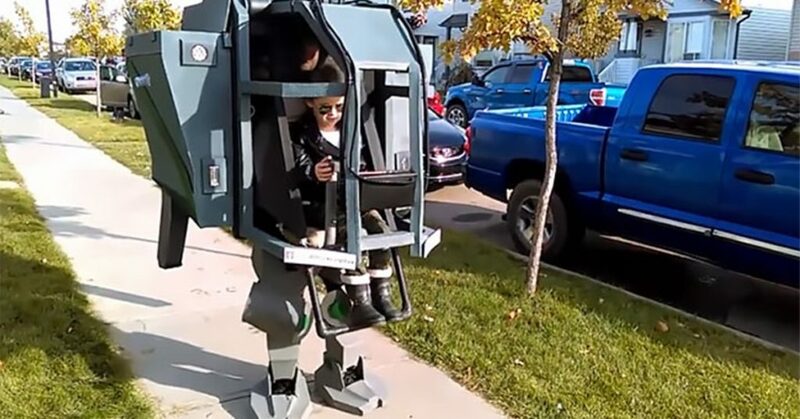 As seen here however, if you’re still a kid, you might be able to get your dad to carry you around in a custom suit fashioned after a MechWarrior vehicle. The suit is beautifully designed by creator Gridlock Cosplay, and features an Arduino-powered control system. 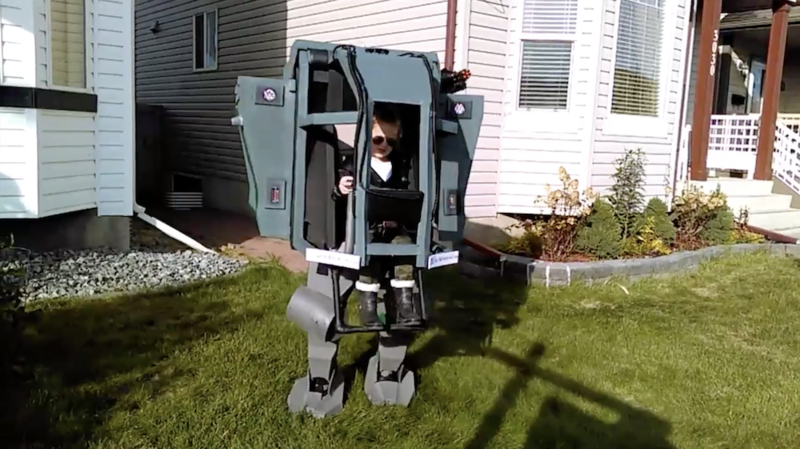 This allows the little pilot to command the mech’s human “engine” via a joystick and system of lights. The suit also features exterior and interior lights, a pilot cooling fan, spinning “radar” assembly, retractable pilot cage, and of course a cell phone holder in the padded engine compartment.